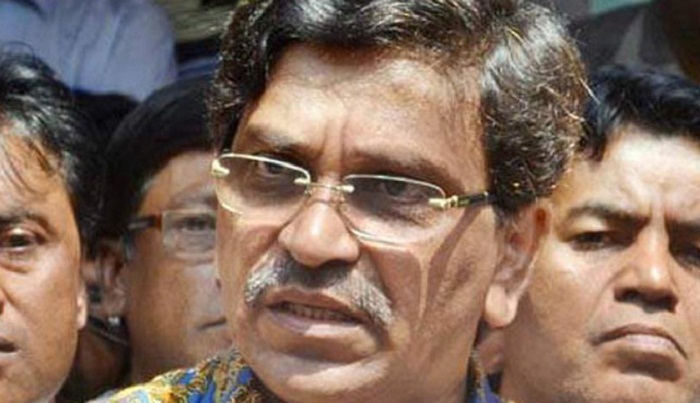 Pointing finger at BNP Chairperson Begum Khaleda Zia, Awami League Joint General Secretary Mahbub-ul-Alam Hanif on Sunday said people of the country will not give vote as per the survey of Pakistan's intelligence agency. "Khaleda Zia claimed that 80 percent of the people will cast their votes in favour of BNP nominated candidates in the upcoming municipality polls. The people want to know from which survey she got such information," he told a press conference in the capital. The press conference was organized at Awami League President Sheikh Hasina's political office at Dhanmondi to give reaction to a speech of Begum Khaleda Zia, BSS reports. Hanif said she (Khaled Zia) might have got the information from Pakistan's intelligence agency's survey. "It is very natural that she will have Pakistani intelligence agency reports to materialise the Pakistani agenda," he said. Hanif said, "The people will never give you (Khaleda Zia) vote as you carried out violence, killing, terrorism and subversive activities when BNP was in power and also when it was not in power. You should feel ashamed of these evil activities. But you are claiming that 80 percent people will vote for your party." He said the government and Awami League want that people's representatives would be elected through free and fair elections. "We always want your (BNP) participation in elections. But you made mistakes by not participating in different elections in the past," Hanif said. Awami League leaders Dr Dipu Moni, organising secretary BM Mozammel Huq, Abu Sayeed Al Mahmud Swapan, Khalid Mahmud Chowdhury, Dr Badiuzzaman Bhuiyan Dablu, Dr Abdus Sobhan Golap, Sujit Roy Nandi and SM Kamal Hossain, among others, were present in the press conference.